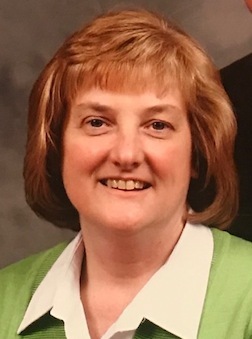 Lucille Ann "LuAnn" Reed, 59, of 128 E. Fifth Street, Emporium, PA died at UPMC-Presbyterian, Pittsburgh, PA on Friday (November 30, 2018). She was born July 16, 1959 in St. Marys, PA a daughter of the late L. Maxwell and Sharon Ramarge Narby. On May 17, 1980 in St. Mark Catholic Church she married Jeffrey E. Reed, who survives. LuAnn was a member of the Emporium Borough Council since 2002 where she served as President of the Council since January 2016. She was a current member of the Emporium Volunteer Fire Department and the Fire Police for over 20 years. She was a past member of the Relief Association, and a past Emporium Volunteered Fire Department Officer. She was employed for over 40 years at Northwest Savings Bank most recently in the position of Financial Consultant. She served as a board member of the Cameron County Extension. and a board member of the Conservation District, a past president of Cameron County School District Alumni Association and was a salutatorian of the Class of 1977. She was a recipient of the Distinguished Service Award from the Pennsylvania State Association of Boroughs in Hershey PA at the Annual Conference, a past member of the American Legion Ladies Auxiliary, and a member of St. Marks Catholic Church where she had served on Parish Council and Parish Festival Committee, participated in the Financial Accountability of the Parish, completed individual financial activities for many members of the county as a volunteer service and a member of the Bucktail Watershed Association and the Cameron County Gun Owners. In addition to her husband Jeff she is survived by a brother, James (Laura) Narby, Emporium; nieces and nephews, Danielle (Philip) Reed and Alexis Narby and Melissa (Geoff Herlin) and Mark (Melissa) Reed; great niece and nephews, Kendall, Lathan and Gunner; mother and father-in-law, Earl and Verna Myers Reed, Emporium; sister-in-law, Vickie (Brad Bender) Reed, Maryland; brother-in-law, Joe (Cindy) Reed, Austin, PA.
She was preceded in death by her Parents, L. Maxwell and Sharon Ramarge Reed. Visitation with Video Tribute will be at the Barnett Funeral Home on Wednesday from 4-7 PM. Mass of Christian Burial will be Celebrated at the St. Mark Catholic Church, 235 East Fourth Street, Emporium, PA on Thursday (December 6, 2018) at 10:00 AM with Rev. Paul S. Siebert, Celebrant and assisted by Pastor Joseph Short. 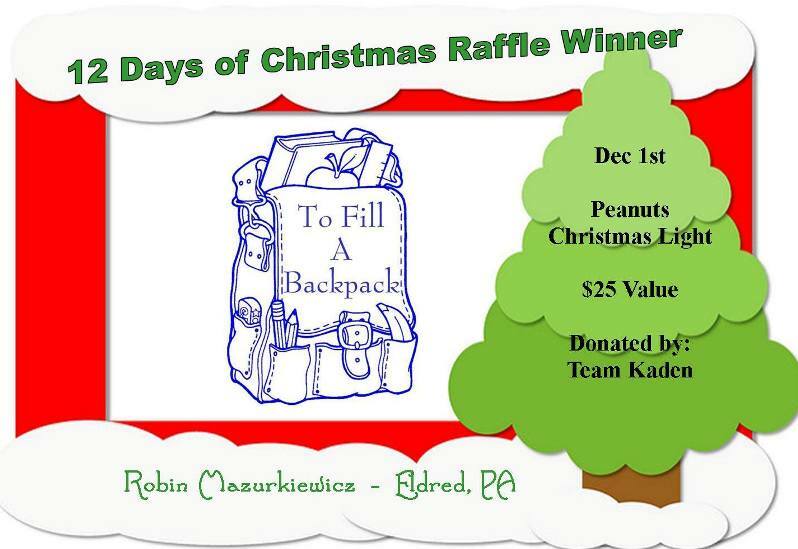 Dickens of a Christmas in Wellsboro..Galeton Gals win Appreciation Prize. For over 10 years a group of friends from the Galeton area have dressed up and attended the Dickens festivities in neighboring Wellsboro. This year they registered as a group - "The Galeton Gals" for the Best Dressed Showcase Contest. In appreciation for their costume participation for the past 10 years, they were awarded $50. in Merchant Bucks that can be used at over 20 participating businesses in Wellsboro. Anita G. Geiser, 90, of Valencia, formerly of Shinglehouse, Pa. and Olean, N.Y.
Funeral arrangements, under the direction of Kevin J. Dusenbury, funeral director/owner of the Virgil L. Howard Funeral Home, Shinglehouse, are incomplete and will be announced with a full obituary. New funding from @BloombergDotOrg will help PA expand treatment programs & save more lives. Marcia A. Lamar, 65, of Shinglehouse, PA, a former longtime resident of Bolivar, N.Y. and also a former resident of Eldred, passed away at home with her loving son by her side on Friday, November 30, 2018, after a brief illness. Arrangements, entrusted to the care of Kevin J. Dusenbury, funeral director/owner of the Virgil L. Howard Funeral Home, Shinglehouse, are incomplete and will be announced with a full obituary. At 9:21 PM on Saturday, Coudersport Ambulance has been dispatched to Sweden Valley Manor. At 5:10 PM on Saturday, Middlebury Fire Department has been dispatched to an automatic fire alarm at 587 Cole Road. 5:12 PM--Homeowner reports false alarm. Chief to check out. Hold at station. Lisa Rock (left) sings a Karen Carpenter song as Ken McMullen plays piano. While the Carpenters, Karen and her brother Richard, are known for more than a dozen chart topping hits, such as "Close to You," "We've Only Just Begun, "Super Star" and "Rainy Days and Mondays," they are also fan favorites because of their Christmas songs. At 7:30 p.m. on Tuesday, Dec. 11, singer and playwright Lisa Rock and her six-piece backing band are keeping the Carpenters' holiday traditions alive by bringing the siblings Christmas songs to the Coolidge Theatre stage at the Deane Center for the Performing Arts at 104 Main Street in Wellsboro. A Carpenters Christmas, the band's holiday concert, will feature Karen and Richard's “Merry Christmas Darling," the jazzy “Santa Claus is Comin’ to Town" and other spot-on renditions of their unforgettable music from their Christmas variety shows and two holiday albums. In addition, the group will perform a mix of other Carpenter songs in Wellsboro. "I grew up with all of the Carpenters music and absolutely love it," Rock said. "In the 1990s, I thought about forming a band to perform their music but put it on the shelf." The idea came up again in 2009. "I wanted to do a show about the Carpenters and tell their stories from their biographies and firsthand accounts. The first person I thought of who could help me put a band together was Ken McMullen. We had become friends in 2004 when we were both performing in a musical. Ken is an outstanding piano player and music director." McMullen was also instrumental in bringing the Carpenters show to Wellsboro. He is a Tioga County, Pa. native. The son of James and Martha McMullen who now live Iin the Pittsburgh area, he was born in Wellsboro and grew up in Keeneyville. His grandmother, Selma McMullen, just celebrated her 96th birthday and still resides in Wellsboro. McMullen graduated from Wellsboro High School in 1992 and from Mansfield University in 1997 with a degree in music education. Following graduation from MU, McMullen played piano on Carnival Cruise Lines for six years. He moved to Chicago in 2002 where he continues to direct music and gives piano lessons in the Chicago metropolitan area. McMullen has directed well over 150 shows in the past 16 years including the critically acclaimed "A Chorus Line" at the Metropolis Performing Arts Centre in Arlington Heights, Illinois. The new band began touring in 2010. "All of us are multi-instrumentalists, which is necessary to replicate the sound of the Carpenters because Karen played drums and on their Christmas albums they were backed by an orchestra," said Rock. "For example, Ken plays piano and drums, my drummer also plays trumpet and keyboard, and my reed player performs on saxophone, clarinet, recorder and flute," she noted. "We are not trying to be the Carpenters," Rock said. "Our goal is to pay homage to them for the music they created. We are absolutely accurate when it comes to performing their songs. This our ninth year of touring. We started in October of 2010 and did one performance. By 2014, we were doing 40 shows a year. Now we are doing 50. At Christmastime last year we celebrated our 200th performance and this Christmas will hit our 250th," said Rock. Karen and Richard began performing together in1965. In 1969, they signed with A&M Records as the Carpenters. During the next 14 years, until Karen's death in 1983 at age 32, they performed as a vocal and instrumental duo. They had a distinct musical style that combined Karen's contralto vocals with Richard's arranging and composition skills. It was called melodic pop. They recorded 10 albums, along with numerous singles and performed on several television specials. "One of our missions is to give back so we donate a portion of our CD sales in Karen Carpenter's honor to food banks in the communities where we perform to help people and do something positive in her name." The band is currently on a four-week 14-show tour performing A Carpenters Christmas. The tour began in California on Saturday, Nov. 24 and will end with the last show in Iowa on Saturday, Dec. 22. For tickets for the show only or for the pre-concert dinner at the Steak House 29 Main Street and the show, call the Deane Center at 570-724-6220 or visit deanecenter.com. Auditions for Hamilton-Gibson Productions’ first main-stage shows of the 2019 Season are being held on the same dates at the same times, Saturday, Dec. 15 at 10 a.m., Sunday, Dec. 16 at 1:30 p.m. and Monday, Dec. 17 at 6:30 p.m. in the Warehouse Theatre at 3 Central Avenue in Wellsboro. Directors for all three plays will attend all three audition dates. Being sought are people of all colors and genders from high school students to senior citizens with no acting experience to those who are experienced and all those in between. Auditionees can try out for a particular role in a particular play or let the directors choose the play and role for them. No one will be cast in two successive shows because of the scheduling issues involved. Performances of "You Can't Take It With You" will be at 7:30 p.m. on Fridays and Saturdays, Feb. 15 and 16 and Feb. 22 and 23 and at 2:30 p.m. on Sunday, Feb. 17 in the Warehouse Theatre. Thomas Putnam is directing this American romantic comedy written by George S. Kaufman and Moss Hart. Sweet-natured Alice Sycamore falls for banker's son Tony Kirby. But when she invites her snooty prospective in-laws to dinner to bless the marriage, the staid Mr. and Mrs. Kirby find the Sycamore family might be too eccentric for them. There are roles for seven women of varying ages and temperaments ranging from a ditzy wannabe playwright to an exiled Russian baroness to a lovely ingénue and for 12 men ranging in age from twenty something to senior citizens from a handsome young man to a middle-aged man who spends most of his life in the basement creating fireworks to a wise old grandfather. "Miss Holmes" performances will be at 7:30 p.m. on Fridays and Saturdays, March 15 and 16 and March 22 and 23 and at 2:30 p.m. on Sunday, March 17 in the Coolidge Theatre at the Deane Center, 104 Main Street in Wellsboro. Gabe Hakvaag is directing Christopher M. Walsh's highly enjoyable gender-bending take on Sir Arthur Conan Doyle's maddeningly brilliant detective. When an anonymous note sends a newlywed wife looking for help, Miss Sherlock Holmes and Dr. Dorothy Watson work together to uncover the secrets surrounding a corrupt police inspector whose wives have a habit of turning up dead. Eight men and eight women will be cast ranging in age from 20 something to seniors. Performances of "Boeing Boeing" will be at 7:30 p.m. on Fridays and Saturdays, April 26 and 27 and May 3 and 4 and at 2:30 p.m. on Sunday, April 28 in the Warehouse Theatre. Clare Marie Ritter and Linda Young are directing this comedy written by French playwright Marc Camoletti. It is about a swinging bachelor who is living the good life in Paris. Everything in Bernard's life is clean, crisp and planned to perfection. He shares his life with three perfect fiancées that he loves. Each is a beautiful airline hostess. The three work for different airlines and have different schedules, which keep them well away from each other, until today. Mix in an old friend from home and a live-in housekeeper who has seen it all and the play takes off into laughter. The roles include Bernard and his best friend who can each be in their late 20s to early 40s; His three fiancées - Gloria who is American, Gabriella who has an Italian accent and Gretchen who has a German accent and should each be younger than Bernard; and Berta, Bernard's older, wiser, laissez-faire housekeeper who has a French accent and can be in her 40s to her 60s. Those who are cast in "Boeing Boeing" will not be considered for roles in "Little Miss Sunshine." Auditions for that musical comedy-drama will be in February with performances in May 2019. For more information about the roles each show offers, contact Hamilton-Gibson Productions at 570-724-2079 or email hamgib@gmail.com. Relive the music and comical antics of the doo-wop era on Saturday, Dec. 8 at 7:30 p.m. when the premier national touring Corvettes Doo Wop Revue takes the stage at the Deane Center's Coolidge Theatre at 104 Main Street in Wellsboro. This group brings fresh new energy to the music of the 1950s and early 1960s, taking audiences on a trip back in time when it was cool to cruise the strip, hang out at the drive-in and crank up the tunes on the jukebox. Enjoy the ride during this all out doo-wop celebration with songs by the Platters, Del Vikings, Chubby Checker, Bill Haley and the Comets, Jerry Lee Lewis and many others. In addition to performing their own shows, the group tours with many legendary doo-wop groups, such as the Platters, the Tokens the Shirelles, the Drifters and the Belmonts. "We are bringing them back by popular demand," said Kevin Connelly, Deane Center executive director. "This is their fourth appearance on our stage." Admission is $25, $22 for senior citizens and free for children 12 and under accompanied by an adult. For tickets or information, visit the deanecenter.com or call 570-724-6220. Holiday Hours: The library will be closed Tuesday, December 25th, and Tuesday, January 1st, for the holidays. Christmas Story Hour: Join us at 6:00 p.m. on Tuesday, December 11th, for our annual Christmas Story Hour. Miss Pen and Miss Monica have planned stories, songs, and a craft to celebrate the holiday season! Please stop by the library or call 814-697-6691 to register. 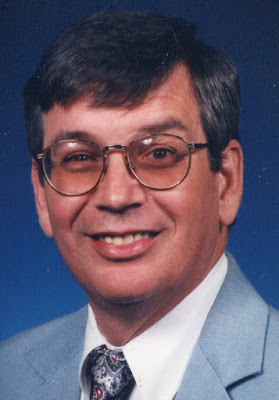 Daniel D. Denning, 72, of Bradford, PA, passed away peacefully to be with his Lord on Thursday, November 29, 2018 at the Bradford Regional Medical Center surrounded by his wife, son and his sponsor. 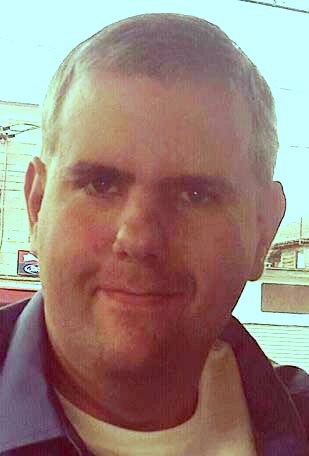 Christopher M. Olin, 40, of Lewis Run, PA, passed away on Wednesday, November 28, 2018 at the Buffalo General Hospital, Buffalo, NY. He was born on January 7, 1978 in Olean, NY, the son of Dale Olin and the late Debra Howard Olin. He was a 1997 graduate of the Bradford Area High School. He attended Faith Baptist Church. Chris liked gambling at the casino, working on word search puzzles, country music and his beloved beagle, Bobby. He worked as a dietary aide at a local nursing home for thirteen years. He is survived by one uncle, Randy (Betsi) Howard of Lewis Run and several cousins. In addition to his mother he was also preceded in death by his maternal grandparents, Robert and Arlene Howard; with whom he lived for many years. Friends are invited to attend a celebration of Chris’s life from 1:00 to 4:00 PM on Saturday, December 8, 2018 at the Comfort Inn, Bradford. The family asks that everyone please dress casually. The family has asked that any donations be made to the funeral home to help with Chris’s funeral expenses. Frances E. Wolfe, 92, of Wolfe Lane, Middlebury Center, PA, 16935, formerly of Keyser, WV, born January 23, 1926, passed away surrounded by her family on November 29, 2018, after an extended illness. She was predeceased by her husband of 66 years, Leonard W. Wolfe. She is survived by her son, Gary Wolfe, and daughter-in-law, Gloria; grandsons, Kristopher (Fawn) and Anthony (Jessica); and great-grandchildren, Mitchell, Alexandra, Kaitlyn, Garrett, and Alyssa. She was also predeceased by siblings, Harold, Robert, and Dorothy. She is survived by her brother, Merle (Lavada) Fanto, and several nieces and nephews. Environmental Health & Safety violation issued on 2018-11-30 to Bkv Operating Llc in Bridgewater Twp, Susquehanna county. 78a86 - CASING AND CEMENTING - DEFECTIVE CASING OR CEMENTING - Operator failed to report defect in a well that has defective, insufficient or improperly cemented casing to the Department within 24 hours of discovery. Operator failed to correct defect ..
At 12:10 PM on Saturday, Coudersport Ambulance has been dispatched to a location behind 175 Toles Hollow Road for an unknown medical. At 12:03 PM on Saturday, Tioga & Middlebury Fire Dept. have been dispatched to Hills Creek Road & Sugar Bush Drive for a vehicle crash. The Pennsylvania Fish and Boat Commission (PFBC) is pleased to announce that 2019 fishing licenses are now available! The Pennsylvania Fish and Boat Commission is a user-funded agency that operates primarily on funds generated through the sale of fishing licenses, boating registrations and associated fees. PFBC receives no Pennsylvania General Fund tax revenue to support its programs. Jim, these two dogs were wandering around Hummingbird Road in Eulalia Twp this morning. They were headed for Williams Way. There are power outages today in Galeton & Ansonia areas. Crews are being dispatched with 11:30 AM listed as estimated restoration time. Ansonia is back on, Galeton restoration is now estimated at 1:30 PM. You can access the outage map here. At 12:01 AM on Saturday, Smethport Fire Dept. & Ambulance have been dispatched to 15344 Route 6 near Little Bear Road for a motor vehicle accident. Report box truck struck deer, throwing it into the other lane where it was struck by a Toyota Corolla. Caller states no injuries. Advisory, which is in effect until 10 AM EST Saturday. * TIMING...Through late Saturday morning. * VISIBILITIES...As low as a quarter mile at times. as objects on and near roadways will be seen only at close range. Dogs ingesting elevated levels of Vitamin D may exhibit symptoms such as vomiting, loss of appetite, increased thirst, increased urination, excessive drooling, and weight loss. Vitamin D, when consumed at very high levels can lead to serious health issues in dogs including renal dysfunction. Consumers with dogs who have consumed any of the products listed above and are exhibiting any of these symptoms, should contact their veterinarian. The Little Nippers will hold a youth sports meeting on Sunday, December 2, at 6:00pm at the Y Bar and Grille in Duke Center, Pa. This meeting is open to the general public. DuBOIS – This holiday season, students in the Human Development and Family Studies (HDFS) Club at Penn State DuBois continued their tradition of helping local individuals in need. Club members purchased items and assembled holiday care packages. They delivered those packages to area shelters that serve people who have been displaced from their homes, or who are victims of domestic violence. Items in the packages included nonperishable food, personal hygiene products such as soap, shampoo, and toothpaste, paper products, cleaning supplies, blankets, and more. They were given to residents at Crossroads in Punxsutawney, a domestic abuse shelter; Haven House, in DuBois, a temporary housing facility for people who have been displaced; and the Pentz Run adolescent housing facility in DuBois. To help those organizations provide their clients with everyday services, the students sought donations of household items to make up the care packages, and hosted fundraising drives in order to purchase additional items. Students who are in the HDFS Club and enrolled in the HDFS program are studying to enter careers in social work, as counselors for addiction treatment, and in behavioral health and probation. In their careers, they likely will be involved with organizations and their clients such as the ones they have touched through this project. Faculty members say that in this way, the project also enhances the students’ education. Some of the items sorted and ready to be assembled into care packages, and delivered to area shelters. At 4:47 PM on Friday, Westons Mills Fire Dept. & Ambulance have been dispatched to a rollover accident in the area of 2565 West Windfall Road. Report 2 occupants. Dog Licenses for 2019 will be available at your County Treasurers’ Office beginning December 1st. McKean County residents can purchase dog licenses for 2019 from their acting county treasurer, Sherri Swanson. State law requires all dogs three months and older to be licensed by January 1st of each year. Beginning December 1st, 2018, licenses can also be purchased at the Bradford Senior Center, Port Allegany Northern Tier Thrift Store, Eldred Senior Center and the Kane Community Center. 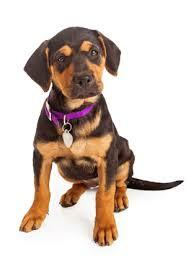 An annual dog license is $8.50 or $6.50 if the animal is spayed or neutered. Lifetime licenses are available for dogs that have permanent identification like a microchip or tattoo. Older adults and people with disabilities may be eligible for discounts. The dog license application is simple and only requests owner contact information and details about the dog being licensed, like name, age, breed and color. • License fees support animal control. The annual fee you pay to license your dog helps keep shelters running and supports the work of the Dog Law Enforcement Office, which is responsible for ensuring the welfare of dogs, regulating dangerous dogs and overseeing annual licensing and rabies vaccinations. At 4:24 PM on Friday, Eldred Fire & Ambulance have been dispatched to a motor vehicle accident on Main Street between Mechanic Street & Canfield Hollow Road. Responders on scene reporting no injuries. DuBOIS - #GivingTuesday at Penn State DuBois raised nearly $3,000 to support the Penn State DuBois Future Fund. Gifts from alumni, friends, faculty and staff, as well as a $1,000 match from Chancellor M. Scott McBride all contributed to the total. The Penn State DuBois Future Fund is unrestricted, which allows the chancellor to utilize funds to support the greatest needs of the campus. Gifts help to support emergency funding for students in crisis, student scholarships, career services and student internships, community-based research projects, lab equipment, books, student travel opportunities, student activities and cultural events and much more. Held on Tuesday, November 27, this year #GivingTuesday is an annual global day of giving that harnesses the collective power of individuals, communities and organizations to encourage philanthropy and to celebrate generosity worldwide. Founded in 2012 by the 92nd Street Y – a community and cultural center in New York City − #GivingTuesday inspired millions of people to give back and support the causes they believe in. Over $300 million was raised online to benefit a tremendously broad range of organizations, and much more was given in volunteer hours, donations of food and clothing, and acts of kindness. November 2018 was a cold, windy, snowy Fall weather month. At times it felt more like January.. A major snowstorm hit the area on the 15th and 16th. We received 11" of heavy wet snow. It was 6 degrees on the 21st and then zero on the 23rd. On the 22nd (Thanksgiving Day) the temperature barely reached 14 degrees. Records were set statewide. Of course, we all know we do not live here because of the weather. This year we received 4.59" rainfall and melted snow. We recorded 14.9" of snow. We had 14 days with 1" or more on the ground. The greatest snow measurement was 11" on the 16th. Last year we received 2.90" of rainfall and 0.02" of snow. Berger Lake had a coat of ice for a few days 9 days we recorded foggy mornings, some very heavy. Average rainfall for the month is 2.95". The average temperature for November is 48 for the high and 30 degrees for the low. Just think in three weeks the days will start get longer. Penn State Weather World senior forecaster, Eric Knight reported a few weeks ago that January looks like a very cold month and February looks very snowy. Sometimes they are not always correct. At 3:35 PM on Friday, Bradford Township Fire Department has been dispatched to a possible house fire at 1141 South Avenue for a possible house fire.